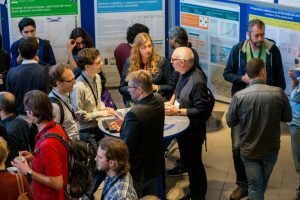 Home » Events » Award ceremony NWO Dataprijs 2018: Celebrating Data! What’s next? Award ceremony NWO Dataprijs 2018: Celebrating Data! What’s next? This year, for the fifth time, the Dutch Data Prize will be awarded for a scientist or research group that has made an extraordinary contribution to science by making research data available for additional or new research. Untill July 1th, researchers could nominate themselves, another researcher or a research group. In 2018 the Data Prize will be awarded in three categories: 1) humanities and social sciences, 2) exact and technical sciences and 3) medical and life sciences. The nominations were announced. The winners receive a sculpture and €5,000 to make their data set (more) accessible, (for instance by organising a symposium or disclosing the data online). The award ceremony will be held on November 28 at NWO. Around the award ceremony, an interesting day will be organized by RDNL, LCRDM, UKB workgroup Research Data, NFU Data4LifeSciences and the National Platform Open Science for researchers and data stewards.